While all eyes are pointing towards New York at the Google Android event scheduled to take place in the next few days, a rumour of a new Nexus tablet has recently emerged. As per a recent report by Digitimes, Google is preparing another tablet. This time around Google is set to price it in the sub-$100 category. As per the report by Digitimes, sources have informed it that Google will showcase a Nexus tablet model that will be priced at US $99, and the unveiling is set to take place by the fourth quarter of this year. This information was provided to them by supply chain makers based in Taiwan. The move by Google could decimate the competition as India is currently loaded with tablet manufacturers selling their wares at prices that cater to different budgets. The Nexus 7, which was recently launched by Google and manufactured by Asus, is one of the most successful tablets in recent history. Google has added a lot of high-end hardware to the mix, and has kept the price down to a minimum by pricing it at $199 for the base model, which comes in a storage capacity of 8GB. This tablet, manufactured by Asus is designed to not only take on Apple’s highly successful iPad, but will also pose a stiff threat to the Amazon Kindle Fire and Google aims to tackle the competition better with its pricing strategy. The Google Nexus 7 tablet is available in two storage capacities - 8GB and 16GB - and the brand has priced it extremely competitively at $199 and $249, respectively. As far as connectivity is concerned, there Google Nexus 7 tablet does not come equipped with 3G connectivity, in order to keep the price to a minimum. The connectivity options found on this flagship Google Nexus 7 tablet, include Wi-Fi a/b/g/n, Bluetooth and NFC capabilities. This tablet also comes with Google Wallet pre-installed. 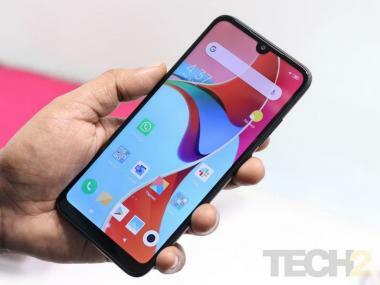 As for the camera featured here, it comes as no surprise that Google has just added only a front-facing camera that can be used for video calls, but what is interesting is that this camera can shoot HD 720p videos. When it comes to the size, this 7-inch tablet measures 198.5 x 120 x 10.5mm and weighs 340 grams. These dimensions allow it to go head-to-head with the Amazon Kindle Fire. The Google Nexus 7 was the first device running on Google’s latest operating software, which is Android v4.1 (Jelly Bean).